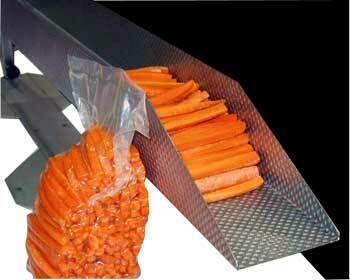 Easy and simple way to “brick” pack celery and carrots. To operate, load product and sort in tray, pull bag over tray and slide product into bag, then slide bag off tray to create the brick pack. Custom build to fit the bag and product.